06 NovWhy Is Prototyping Required In A Design Process? 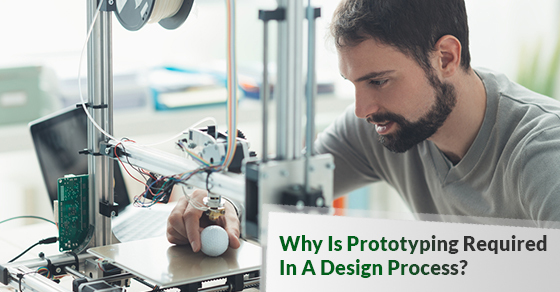 When creating any electronics product, prototype productions play an important role in the design process. Skipping the creation of a prototype can lead to a sub-par product that may not even make it to market. If you do not make a prototype for your electronics, no matter the type, you could see yourself having to shut down production in the future and waste valuable time and money. If you do not create a prototype of your product, you will have a harder time finding flaws. No product is going to be perfect upon its creation, which is why a prototype is needed. It allows you to see what’s wrong with your product so you can correct it before moving on to the next step. Without a prototype you may be looking at a product that doesn’t perform well after its first production run. This will cost you in the long run because you may have to scrap the entire run and start anew. However, if you make a prototype, you can see your product in action and avoid costly production runs that won’t yield anything. There is much waste involved in the production of electronics, but if you create a prototype for your product, you can help reduce waste. With a prototype you can see which parts of your product are necessary and which can be scaled back or removed altogether. Moreover, nowadays some investors are looking for greener electronics to fill a hole in the market, so prototyping can put you at an advantage over your competition. The great thing about creating a prototype is you can actually test it out. By testing usability early, you can see where users are struggling to use your product. It’s important to give the product to others who were not involved in the design process for testing. That way they’re removed from the process and won’t be blinded by their connection to the product during the usability testing phase. Furthermore, prototype productions encourage a collaborative atmosphere where ideas can flow freely. Not all investors are tech savvy and will understand your product based on a paper presentation. With a prototype you get a tool to use during investor presentations that isn’t an abstract concept. Investors can touch, see and use the prototype to gauge how interested they are in funding its full production. Prototyping is important to the design and manufacturing process as a whole. Please contact us for more information about our prototype productions.